This is a serious #PutABowOnIt moment. Love it! That jacket is seriously amazing. And I love the Keds! They are so cute! That's a perfect spring coat! I love it so much and it somehow just works so well with the keds. You are so darling! 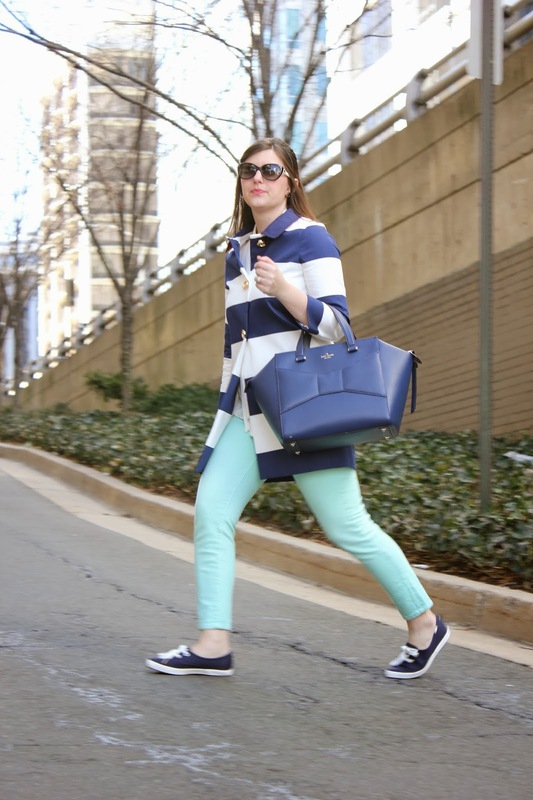 This preppy look is so chic. I'm dying over this coat!! LOVE your coat and how you styled it!!! VI don't know why but it reminds me of the show "Revenge" very beachy but sophisticated piece! 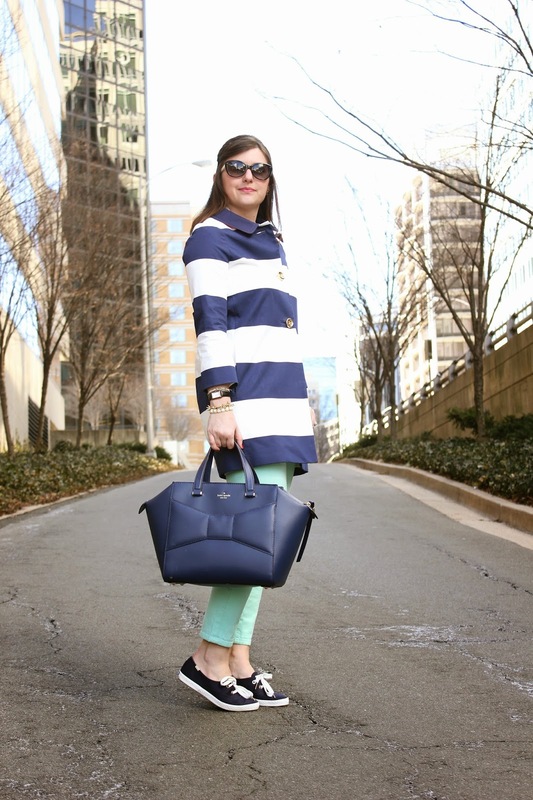 The coat is sooooo FAB…..love how you put it all together! what a lovely casual inspired look! that coat is amazing!